Start off your visit on the 25th (Mon): see some colorful creatures with a scuba or snorkeling tour. Keep things going the next day: enjoy some diversion at Esplanade Lagoon Pool, take in the dramatic scenery at Josephine Falls, and then hike along Esplanade Boardwalk. To see more things to do, reviews, and other tourist information, read Cairns tour itinerary builder website . Dallas, USA to Cairns is an approximately 22-hour flight. You can also do a combination of tram and flight; or do a combination of bus and flight. The time zone changes from Central Standard Time (CST) to Australian Eastern Standard Time (Queensland) (AEST), which is usually a 16 hour difference. Traveling from Dallas in February, things will get much warmer in Cairns: highs are around 88°F and lows about 75°F. Wrap up your sightseeing on the 26th (Tue) to allow time to drive to Port Douglas. Start off your visit on the 27th (Wed): see some colorful creatures with a scuba or snorkeling tour. Get ready for a full day of sightseeing on the next day: do a tasting at Shannonvale Tropical Fruit Winery, then tour the pleasant surroundings at Wildlife Habitat Port Douglas, then explore and take pictures at Hartley's Crocodile Adventures, and finally look for gifts at Coffee Works. For reviews, other places to visit, and other tourist information, refer to the Port Douglas travel planner. Traveling by car from Cairns to Port Douglas takes 1.5 hours. Alternatively, you can take a bus; or take a shuttle. In February in Port Douglas, expect temperatures between 88°F during the day and 75°F at night. Finish your sightseeing early on the 28th (Thu) so you can travel to Sydney. Sydney is known for nightlife, trails, beaches, parks, and museums. 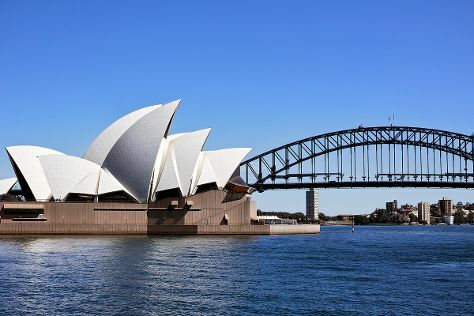 Your plan includes some of its best attractions: see a show at Sydney Opera House, appreciate the extensive heritage of The Rocks, make a trip to Sydney Harbour Bridge, and take a stroll through Darling Harbour. You can do a combination of shuttle and flight from Port Douglas to Sydney in 7 hours. Other options are to drive; or do a combination of bus and train. In March, Sydney is slightly colder than Port Douglas - with highs of 79°F and lows of 66°F. Finish your sightseeing early on the 3rd (Sun) so you can travel back home.